Our selection of high-quality sewage pits provides a clean solution for onsite sewage disposal. Made of strong, resilient materials, they're designed for long-lasting, reliable performance. Effluent travels from various parts of a building, including bathrooms, toilets, kitchens and laundries, into a septic tank system. Once it hits the septic tank, a separation process occurs, meaning that solids, oils, fats and liquids divide. Bacteria causes unwanted substances to break down and the left-over liquid evaporates. Any effluent that does not disappear is sent to a holding tank. From there, it is pumped out and disposed of at a local sewage treatment plant. Note that grey water treatment involves the re-use of any domestic wastewater not containing sewage. Sewage is referred to as black water. It has a higher organic loading and requires a more extensive cleaning process. Premium materials and advanced fabrication techniques are necessary to the construction of efficient, reliable septic tanks. 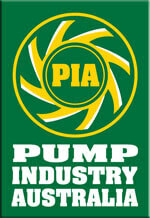 Here at 4 pumps, we proud ourselves on being industry specialists and stock only the highest-quality equipment. Our range of pits is designed to meet a variety of needs and capacities. For smaller septic systems, we offer a single-pump model. For larger operations, we have the dual-pump pit. It's crucial to select the right sewage pump for your property and/or premises. Are you wondering which product would best suit your needs? Would you like to know more about the 4 pumps range of stormwater pits as well? Are you looking for something that you can't find on our site? Please don't hesitate to get in touch. Excellent customer service is our priority. Our expert staff members are happy to answer questions and provide advice upon request. Give us a call or complete our online inquiry form and we'll get back to you as soon as possible.